I will be in an RV for two weeks with my Mom this summer. I think I am going to ask her to teach me how to crochet while we are on the road. And after a couple weeks practice I think I will try my hand at these pretty flowers from The Yvestown Blog. Ugh,an RV for 2 weeks?!? you're brave! LOVE IT! 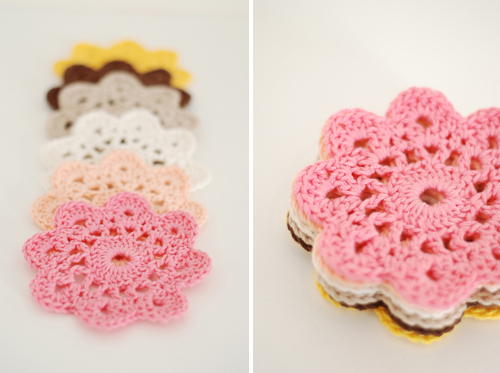 I've never been a big fan of all things crochet, but this are so cute - I'd get off my high horse to buy some.